Security camera footage enabled the Israeli security forces to track down the terrorists who murdered Ron Kukia earlier this month. 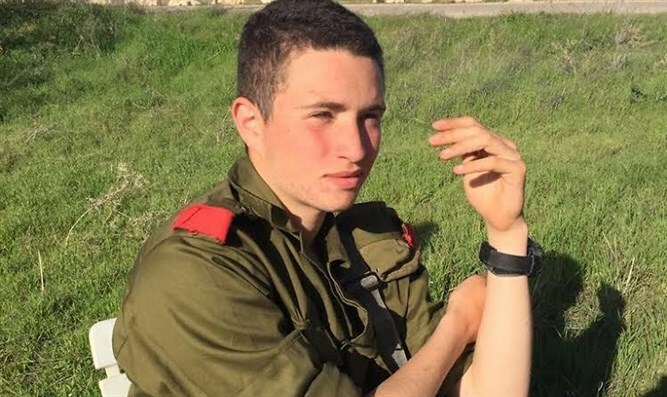 Security camera footage proved to be the key in tracking down the murders of Ron Kukia, a 19-year old soldier who was stabbed to death at a bus stop in the southern Israeli town of Arad earlier this month. Footage from a close circuit security camera system showed the two terrorists, both Israeli Bedouin, entering their vehicle and fleeing the scene of the crime. After check the license plates numbers, which had been spotted during reviews of the footage, the Shin Bet internal security service was able to close in on the terrorists, who were arrested last week by the Israel Police Yamam anti-terror unit. During the interrogation, one of the suspects admitted to the murder and even led the Shin Bet investigators to the place where he had hidden Kukia's weapon. A gag order has been issued on the identity of the suspects and the rest of the investigation. The initial investigation found the terrorists had stabbed Kukia from behind while he was standing at the Arad shopping mall. Kukia ran into the street to seek help, where he was hit by a passing motorist. The motorist, despite being injured in the collision, managed to call the police and summon assistance. Hundreds of police officers and IDF soldiers then embarked on a massive manhunt after the terrorists, who managed to escape with Kukia's weapon. After the terrorists were indicted last week in the Beer Sheva district court, Kukia's father swore to avenge his son's death. "I want the court to be strict with the terrorists. They deserve a death sentence and also revocation of rights," said his father. "I'll make sure he dies."